News Archives - Page 2 of 2 - Tap Legacy Foundation, Inc. 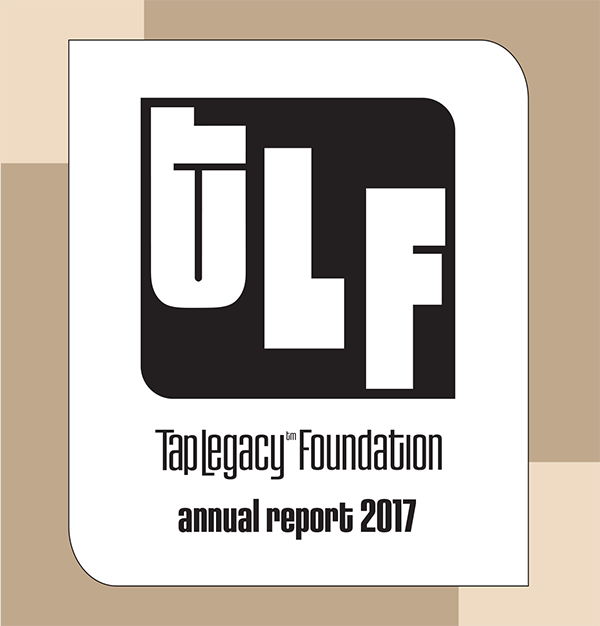 Since our earliest beginnings Tap Legacy™ has been committed to serving the tap dance community. As we have undertaken a major refocusing in the past two years, we’ve come to realize that we’ve been operating in a somewhat opaque manner. We’re changing that today. Today we’re releasing our 2017 Annual Report, which you can view here, and posting a link on our website that you can share with others. As we move forward we are committed to having a community based on trust, and a major part of that is sharing what we are doing more transparently. We’re thankful for your continued support as we navigate the ever changing landscape of the tap dance world, and discover the best ways to support the oral tradition. Many of you might have already seen the recently released TED Talk by Tap Legacy™ co-founder Andrew Nemr. In his talk, Andrew points to evidence of the flourishing global tap dance scene today. This included seeing tap dance featured in popular music concerts, major theatrical shows on Broadway, the awarding of a tap dancer with a MacArthur Genius Award, and the global circuit of tap dance festivals. While members of the live studio audience were witness to a slide that included a sampling of the many festivals currently running, the edited video didn’t give the slide much screen time. We want to be sure that everyone can see how many organizations are currently doing the work of sharing the art of tap dance through practical education, performance, and community engagement. Above, you will see the slide that was included in the original talk, and below is a list, with links to each organization. 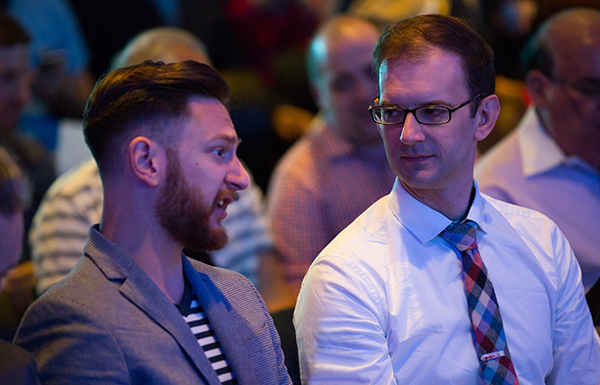 We want to thank each organizer who gave us the permission to use their logo in this talk. 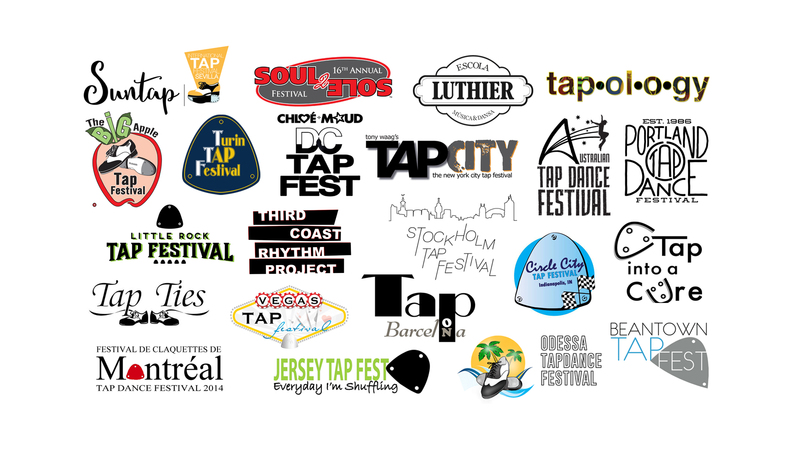 While this is still only a sampling (yes, there are even more festivals than what is listed below), we can clearly see the reach and breadth of the global tap festival phenomenon. Notable exclusions from the slide (we didn’t receive permission in time to use their logos in the talk) include the Chicago Human Rhythm Project’s Rhythm World, the Los Angeles Tap Festival, the Tokyo International Tap Festival, and the Vancouver International Tap Festival. As mentioned above, so many festivals are part of the current tap dance scene. Do you know of a festival that used to be produced or is currently running that isn’t listed here? Put the name of the festival in the comments for everyone to see, and be sure to include the organizer(s)! 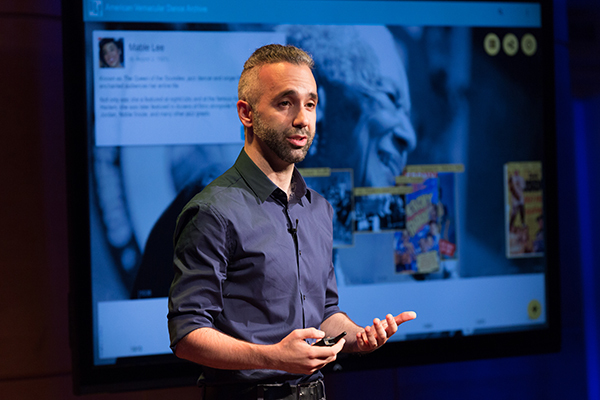 This past summer, Tap Legacy co-founder Andrew Nemr spoke at the TED Resident’s Salon, the final event for the inaugural class of TED Residents. Each resident presented an idea that was central to their project. While working on development of the Tap Legacy Digital Archive during the residency, Andrew’s talk, presented while he tap danced, centered around the idea of tap dance as oral tradition. Andrew shared personal stories, the unique attributes of oral traditions, the challenges oral traditions like tap dance face during times of cultural shift, and a possible solution. Oral traditions are rooted in cultural identity, the stories of a people, and the traditions, activities, and rituals that embody those stories. Institutional support is primarily designed for preservation, not the support of an ongoing oral tradition. However, during times of cultural shift the continuity of unsupported oral traditions can be endangered. Tap Legacy™ has been working on a solution that would fill the gap between well established institutions and a community’s oral traditions. At the end of his talk, Andrew unveiled a prototype of the Tap Legacy Digital Archive platform. Developed in collaboration with Michael Thibault, the platform will feature timeline, graphic data visualization, and community engagement functionality. The prototype is a working model that envisions all the functionality of the Digital Archive currently in development. If your interested in learning more about this initiative sign-up for our newsletter or contact us directly.